In 2007, Dovecot approached the Estate of William Scott to reignite a relationship that had been left dormant since the 1970s. With a view to producing a series of tapestries with Dovecot the William Scott Foundation invited Master Weaver Douglas Grierson to select three works he felt would be translated most effectively by the weaving team. 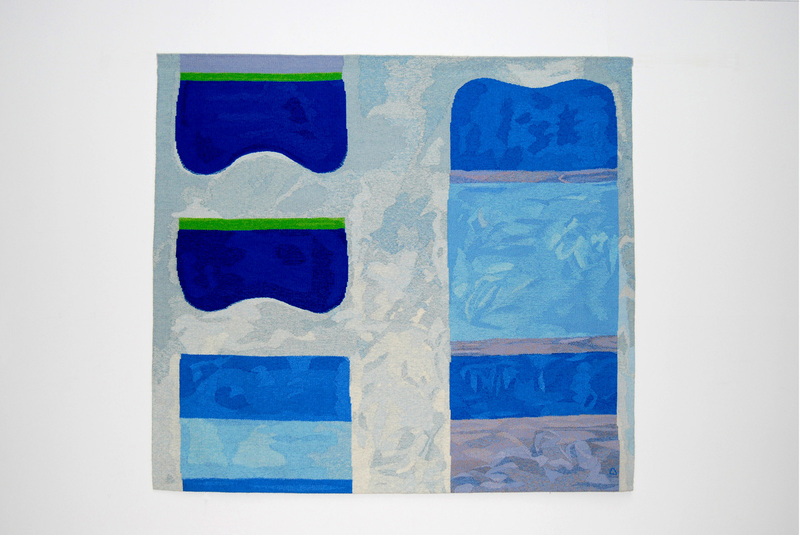 Green and Blue Forms is a woven interpretation of Scott’s painting from 1966. In respect of Scott’s struggle with Alzheimer’s, 15% of the net sale of this tapestry goes to the Alzheimer’s Society research projects sponsored by the William Scott Foundation.